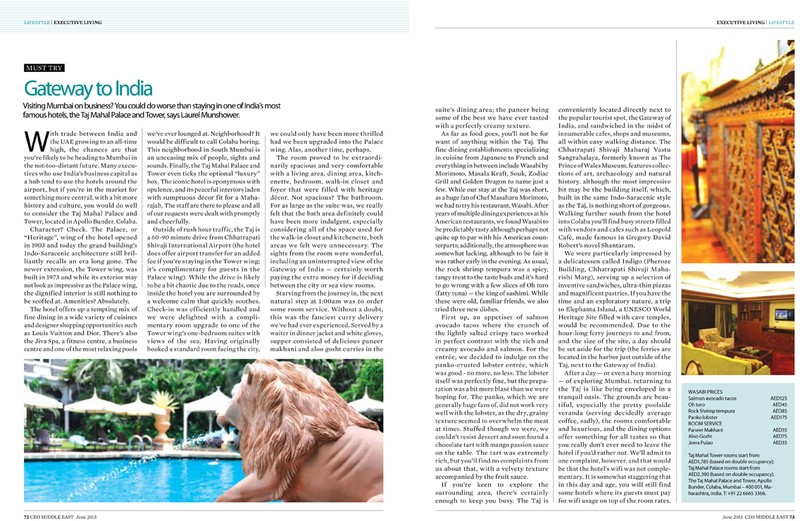 My review of the Taj Mahal Palace & Tower hotel in Mumbai, India, as published in the June 2013 issue of CEO Middle East. Click on to see high quality images of the pages and read the review. Or – head over to ArabianBusiness.com to read it.